Attorney-client privilege is the keystone of the legal system that has been in place since the inception of the United States. This privilege protects confidential communications between an attorney and his or her client. The purpose, put forth by the courts, for allowing these communications to be protected is that it “encourage[s] full and frank communication between attorneys and their clients.” Thus, without this protection, clients would be less than forthcoming since all communications with their attorneys could potentially be used against them in future litigation. However, a problem has arisen over the years regarding a specific application of attorney-client privilege. That problem is patent-agent privilege. Communications between patent attorneys—attorneys who not only are barred by a particular state but who also are barred to practice before the United States Patent and Trademark Office—were not originally protected by attorney-client privilege. This is because courts viewed patent work as outside the scope of the law. But, beginning in the late 1950s, this began to change, and today all communications between patent attorneys and their clients can be privileged. The same cannot be said for patent agents. Patent agents must have a scientific background and pass the patent bar. 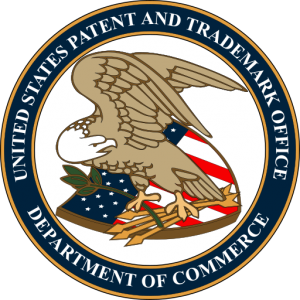 Once a person becomes a patent agent, he or she is allowed to represent clients before the Patent Office during patent prosecution (the process of getting a patent application granted). This is also a job that patent attorneys are allowed to perform. However, this has resulted in an interesting issue. Although patent attorneys and patent agents are performing the same work, the communications between their clients are not subject to the same privilege rules. Before 2016, the federal courts were split on the patent-agent privilege issue. Some Circuits recognized this privilege as an extension of the attorney-client privilege while others did not. The Federal Circuit remedied this by expressly recognizing a limited patent-agent privilege in In re Queen’s University. The Federal Circuit held that communications between a patent agent and his client are privileged so long as the (1) communications meet the privilege requirements and (2) the patent agent is performing work for the client within the scope of activities Congress allows patent agents to perform. This was only the first major legal event regarding patent-agent privilege. The second, involved the Patent Office. In December of 2017, the Patent Office, a federal agency that grants patents, promulgated a regulation mirroring the Federal Circuit’s holding in In re Queen’s University. Thus, at the beginning of 2018 both the federal courts and the Patent Office expressly recognized patent-agent privilege. But, no state had yet recognized this privilege. This changed at the end of February when the Texas Supreme Court expressly recognized patent-agent privilege as an extension of attorney-client privilege with its holding in In re Andrew Silver. Because patent claims often arise in contract disputes, state privilege laws become relevant in patent cases. Thus, uniformity between the states and the federal courts is important. Although the majority of the United States does not recognize patent-agent privilege, if the current trend continues, then more states will likely begin to recognize the patent-agent privilege. * Matthew Welch is a third-year law student at Wake Forest University. He holds a Bachelor of Science in Mechanical Engineering from Clemson University. He is also a patent agent barred to practice before the United States Patent and Trademark Office. Upon graduation, he intends to practice intellectual property law.